“I have kept for myself seven thousand men who have not bowed the knee to Baal” (Romans 11:4, ESV). 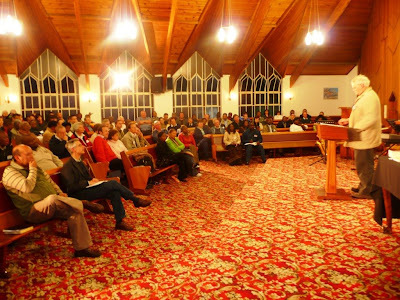 When I first got the invitation to give the key-note address at the World Reformed Fellowship Africa Region Conference, I had not even heard of its existence. I vaguely recall being asked to speak at something like that a few years ago but while waiting for confirmation, nothing came of it. However, this time something did come of it and so that is where I spent most of my time on Tuesday and Wednesday last week. If you are asking what on earth the World Reformed Fellowship (WRF) is, then let me share with you what I have just learnt. The WRF, as its name suggests, is a fairly new but growing worldwide fellowship of individuals, local churches, denominations and Christian organizations who espouse any one of the historic Reformed Confessions (e.g. 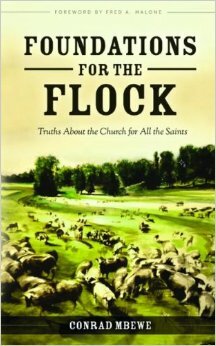 the Westminster Confession of Faith, the 1689 Baptist Confession of Faith, etc). Its aim is spelt out in its theme, “That the strengths of some might become the strengths of all in the service of Jesus Christ.” In other words, it seeks to use the advantages of some Reformed brethren in one part of the world to help the disadvantages of others in another part of the world, so that together they may accomplish the great task of world evangelization. Its present worldwide membership largely comprises Presbyterian denominations and theological institutions, but a few Baptists are also already on its register. The conference I was preaching at was the first Africa Region Conference and was held outside Johannesburg in South Africa. The country was in a political flux as their state president, Thabo Mbeki, had just been forced to resign by his political party. On the day the conference started, fourteen cabinet ministers also resigned. So, although we were hidden away at a very nice conference centre in a beautiful valley, many ears were tuned to the outside world – just in case the country went up in flames. Thankfully, it did not – at least not up to the day of my departure! The conference was attended by about forty representatives from South Africa, Democratic Republic of Congo, Sudan, Rwanda, Uganda, Nigeria – and, I guess, Zambia. My first surprise at the conference was the number of “black” South African theologians who profess the Reformed Faith (e.g. Prof Christopher Rabali, pictured on the left). I have been visiting South Africa many times every year since 1990 and this was the first time I was meeting them. I preached the key-note address on the topic, “Being a Bible-Centred Christian Community in Africa”. Giving me a topic like that was like throwing a fish into a river or chasing a monkey up a tree. What more urgent topic can one speak on in Africa today? Mine ended up being the only full-fledged sermon; while the rest were more of academic papers and, as you would expect, they were of different standards. I was greatly edified by most of these presentations (I could not agree with the position taken by the Nigerian professor of theology, Dr Adamo, who spoke on African Traditional Religions, and I missed the last day’s presentations as I had to rush back to Zambia). Let me comment on the presentations made by the two “black” South African professors of theology (Prof Christopher Rabali and Prof Derrick Mashau, the latter is pictured on the right), because most of us are still asking where the Reformed brethren are among “black” South Africans. Dr Rabali’s presentation was on religious pluralism while Dr Mashau’s was on spiritual discernment. The messages were well thought-out, thoroughly Reformed in approach, and well applied to the African situation. The two men exhibited a high level of humility, especially during discussion time, and they went to the Scriptures as their final authority. 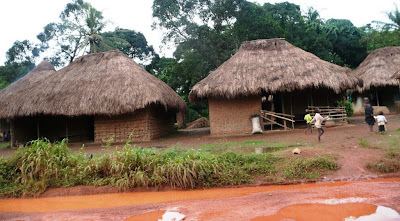 They were insisting on the unique place of the local church especially in theological training, on the cessation of the Charismata, etc. (Of course, during the question and answer session, it was clear that not everyone at the conference was of a similar mind!) So, you will not be too surprised to hear that I bought every title that I found on their book table. Where have these men been all along? I guess they have been hidden away in the lecture halls of Potchefstroom University (now, North West University). If that is the case, I wonder why none of them participated in the writing of The Africa Bible Commentary? I, therefore, returned to Zambia with the message from God that surprised good old Elijah, “I have kept for myself seven thousand men who have not bowed the knee to Baal” (Romans 11:4, ESV). The picture is certainly brighter than we think. 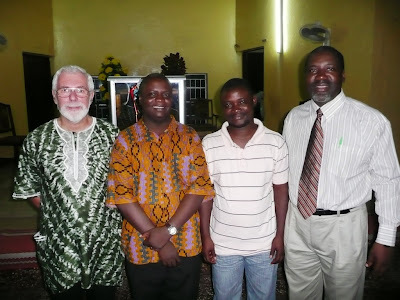 The Reformed Faith is growing in Africa. Praise the Lord! The last one week has been full of kingdom-extending activities. The Sunday following the Zambia Reformed Baptist conferences, i.e. 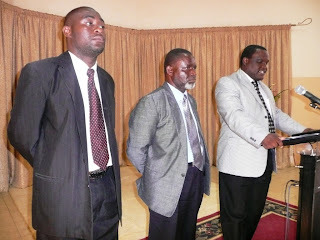 Sunday 31 August, we had the ordination/induction of two missionaries at Kabwata Baptist Church (see picture below). 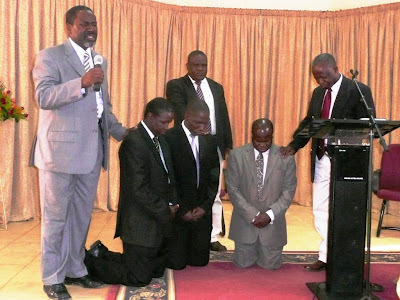 Percy Chisenga and Oswald Sichula were set apart to plant new churches in Zomba (Malawi) and in St Bonaventure (south of Lusaka), respectively. 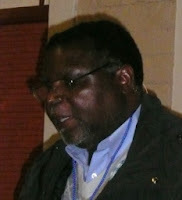 Percy is a seasoned missionary and was used of the Lord to plant a Reformed Baptist church in Zambia’s extreme eastern town, Chipata, in the 1980s and 1990s. 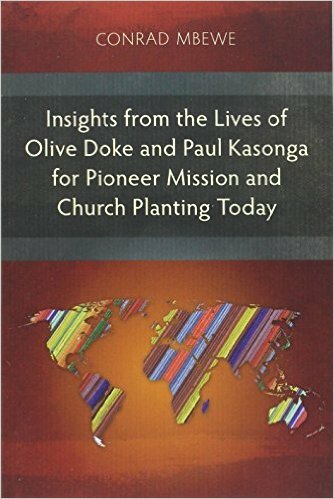 He has already been church-planting in Malawi for over a year under the invitation of the Maxson family from the USA, and so this “setting apart” was meant to enable him have ongoing support and also bring him into a biblical accountability structure under a sending church. Zomba is a university town and so Percy is targeting the Chancellor College students for much of his outreach work. Through this effort we look forward to seeing the establishment of the first Reformed Baptist church in Malawi. Oswald just completed his seven months internship program at Kabwata Baptist Church, having once briefly pastored a Baptist church in the northern suburbs of Lusaka. He is now set to commence a new work in an area where many of Lusaka’s wealthy people live and an area marked out for a major new housing project. Lusaka has a population of about 1 million people. The starting of the church in St Bonaventure brings the total number of Reformed Baptist churches in this city to ten! Then there was the Sola 5 conference in Cape Town, South Africa, from Friday 5 to Sunday 7 September. (Cape Town is, arguably, the most beautiful city in the world!) Sola 5 is an association of God-centred evangelical churches in southern Africa. It grew out of a desire by churches in the region to work together to support the work of God-centred, rather than man-centred, missions. 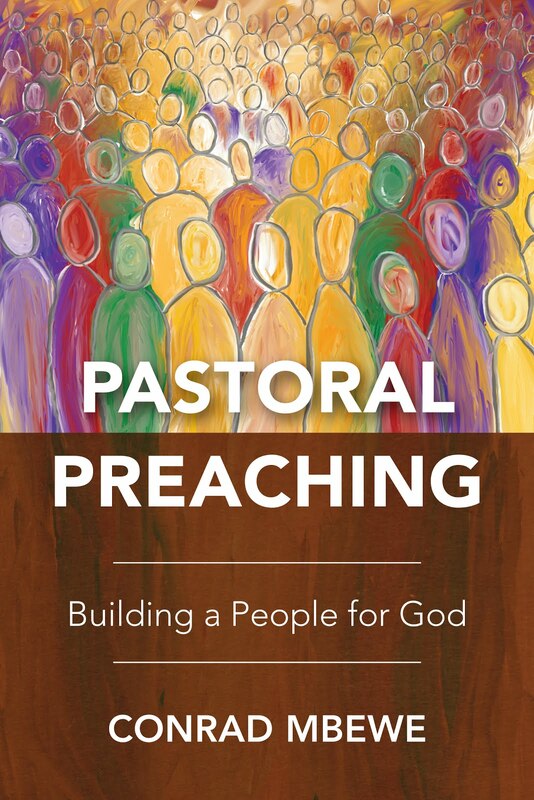 It is only four years old and encompasses churches in most of the southern African countries. This association of churches certainly deserves a place in the hearts and prayers of those who long for true biblical spirituality in the churches of Africa. Their primary aim is to pool their resources together in the extension of the kingdom of God in the sub-region and beyond. In fact, during this conference they had reports from different countries in the region, and also from Romania and India. Kabwata Baptist Church had the highest number of delegates to this conference (apart from the host church, of course). 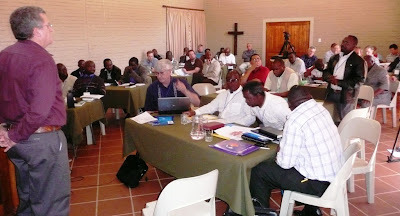 There were about ten countries represented at this conference, mostly from southern African. A new steering committee was voted into office (see picture below). The theme was the five solas of the Reformation. Since I had to return to Lusaka before Sunday, I only heard the first two messages and preached on the third. 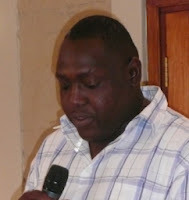 I am told that Ronald Kalifungwa, pastor of Lusaka Baptist Church, closed the conference on a powerful note on Sunday evening, with Soli Deo Gloria! Last weekend, we had three elders ordained into the Kabwata Baptist Church eldership – Charles Bota, John Kumwenda and Eric Sinyangwe (see picture below). This brings the total number of elders in the church to six. Having just suffered the loss of one of the elders, Dr Simon Mphuka, through death, the church was full of praise to God for this addition. Simon’s widow, Lillian, told the new elders that she would send an e-mail to her late husband in heaven to let him know that in death he has multiplied himself into three elders! Ever since a multiple eldership came into being at Kabwata Baptist Church, this is the highest number of elders that have been ordained at once. With a membership now around three hundred and fifty, and all the ministries and mission stations that are under this church, many important issues were falling through the cracks. We are thankful to God for the three extra under-shepherds that the Lord has provided us. May this result in even greater exploits for God’s glory! Finally, tonight I leave for Sierra Leone in West Africa to preach at the third Evangelical Minister’s gathering. Pray for me that the Lord will use me in a way that is beyond what I am able to ask or even imagine. Part of my journey in Sierra Leone is by helicopter. It will be the first time for me to travel in this way. I will let you know how the journey goes when, the Lord willing, I return to Zambia.